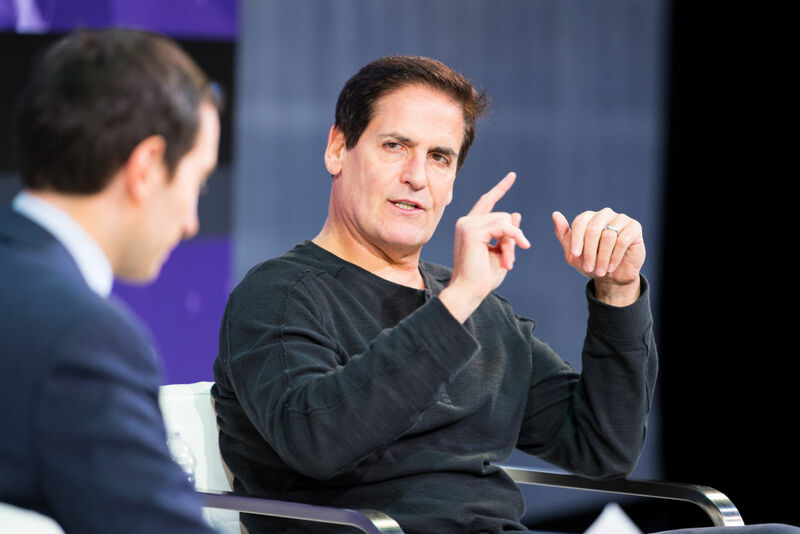 Billionaire owner of the Dallas Mavericks, Mark Cuban, is very vocal on his opinion of both bitcoin and gold. He does not believe either are a viable alternative to cold hard cash. "I hate gold. Gold is a religion. I do not see gold as an alternative to currency. Not at all. Let's put it this way: I don't see people in Puerto Rico carrying around big bags of gold to try to save things." Cuban went on to say that the value of both bitcoin and gold is determined by supply and demand. They have no real value on their own. He also said that hate isn't a strong enough word for how he feels about gold as an alternative to currency. "Hate with extreme prejudice, with an ounce of hot sauce…"
Cuban feels the same way about bitcoin. He sees the two being pretty much the same thing and would rather buy a pet rock. He considers the two to be collectibles, not currency. "The good news about bitcoin is that there's a finite supply that'll ever be created, and the bad news about gold is that they'll keep mining more." Despite his strong opinions about bitcoin he will allow fans of the Mavericks to buy tickets using bitcoin starting next season. Now don't let Cuban's attitude about bitcoin fool you too much. He has invested in cryptocurrency and owns bitcoin. Of course, with a net worth of $4 billion he can afford to. He warns fans that they should not invest in speculative investments such as bitcoin if they cannot afford to lose that money. "It could go to $15,000 or zero, and maybe both on the same day." Cuban is skeptical of bitcoin because of the erratic price swings of the cryptocurrency that don't seem to be based on any real change in the market. He is right about that. In December 2017, bitcoin was valued at an all-time high of $19,000. Today, BTC is worth $6,856.